June | 2007 | ARChive of Contemporary Music, or "Would You Take My Mind Out for a Walk"
WOW is this record good. 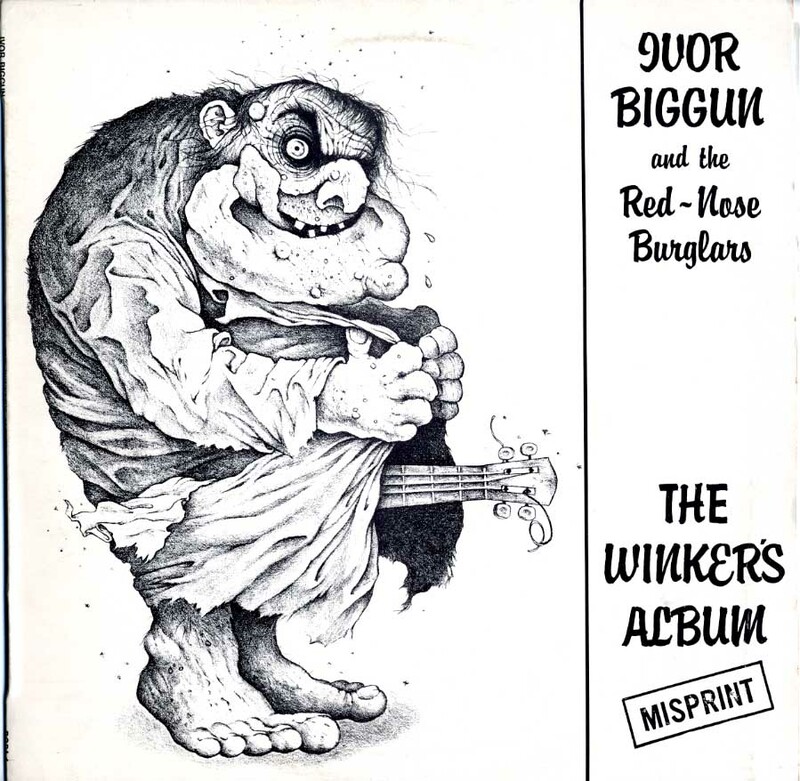 It was good when it came out in 1975, and this reissue does NOTHING to hurt its reputation or sound. If’n you like the dub music, then this is a must MUST have. 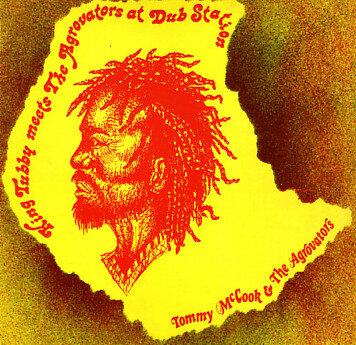 Featuring Tommy McCook and King Tubby, better dub you would be hard pressed to find. I think Katz is right – no one was there to hear jazz (I mean, wasn’t that one of the reasons Joe Harriott left Jamaica for England in the early 1950s?). But I would argue that another factor that gave rise to McCook’s problems in the Bahamas was that the Jamaican musicians working there in the period Katz describes were not members of the Bahamas Musicians Union. In the mid-1950s, Bahamian musicians become vocal about their belief that the Jamaican musicians working in tourism – of which there were many – were taking away jobs. (How many sax players were there who could compete with Tommy McCook?) In 1955, around the time McCook’s engagement at Zanzibar “ended,” the Bahamian Musicians Union clamped down on Jamaican musicians working in clubs like Zanzibar. In fact, period newspaper coverage specifically lists McCook as one of several “offending” musicians. Shortly after the fracas, many musicians (including McCook) returned to Jamaica where, as Katz so accurately put it, they “drifted” through the tourist circuit – playing calypso, rumba and the occasional mento on bandstands for tourists. The rest, as they say, is history. If McCook had been allowed to stay in Bahamas, we might not have had a Skatalites. Or the Dub Station album. By the way, those looking for a great book on dub music need look no further than Michael Veal’s Dub: Soundscapes and Shattered Songs in Jamaican Reggae. Did a little shopping for my brother-in-law’s birthday at the ARChive sale today. Is everyone hip to this trip? 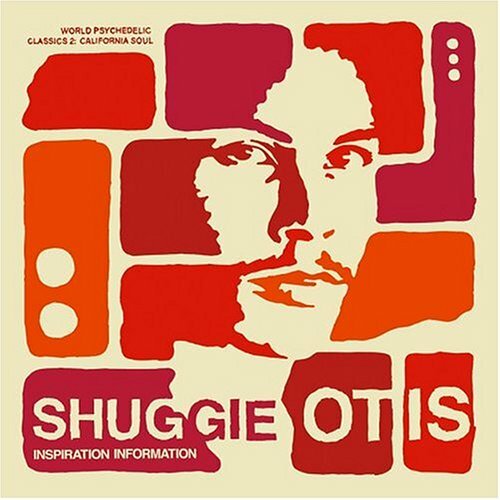 Shuggie Otis’ Inspiration Information re-issued on vinyl, with bonus tracks, we got a big stack of them, AND THEY ARE TWO DOLLARS APIECE! A slice of pizza costs more. Dave’s a fan of all things Otis: Johnny, Shuggie and I imagine Otis the Drunk, if it comes down to it, so I think he’ll dig it. No Ivor Biggun at the sale, but who knows, you might find some Thin Lizzy if anyone wants to celebrate PH‘s freedom by jammin’ “Jailbreak” on the stereo. That didn’t help me figure it out, and because it really started bugging me I googled it. 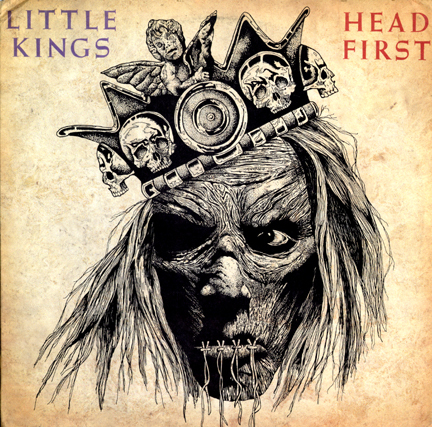 Turns out that after being in the Little Kings, “Gregory” Verbinsky went to film school, changed his name to Gore Verbinski and became a director. Gore, if you’re out there reading this, we’d love it if you dropped by the ARChive. We could order Vietnamese sandwiches (best in the city!) from the Sáu Voi, show you around the place and talk about stuff and things! If it’d make you feel more comfortable, we could even try to get our new friend Joe Franklin to come by as well. It’d be a grand old time. I’m becoming a bit of a specialist, I’m afraid. Whenever a comedy record comes over the transom, usually found tucked discreetly in a dark corner of a large donation of music, it lands on my desk. Don’t know what gave it away, but when this one surfaced there was a distinct suspicion that it might be in the funny-ha-ha category and hence my domain. Hey Joe, Where You Gonna Go (With Gary US Bonds in Your Hand)? Sunday is a slow day at the sale, so I decided to punch a hole through the wall from the old to the new space. 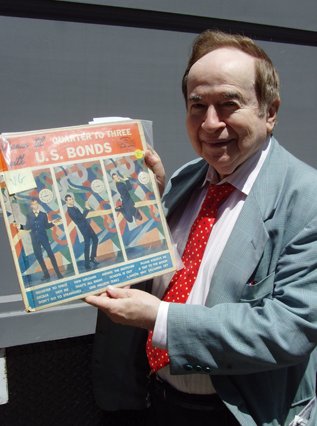 Drill in hand, I exit oldARC and who do I see, like a vision, crossing in the middle of the street, but THE Joe Franklin, NYC’s legendary talk show (on TV continuously for 40 years – 300,000 interviews) host and old-time music maven. Here’s what the King of Nostalgia had to say about the ARC, “Oh gee, oh wow…I had no idea!” Joe was on the block visiting his “music therapist,” a job we intend to take over in the future. One afternoon in late 2002 (November? ), while I was living in Jamaica doing fieldwork on mento for my dissertation, I bumped into Colby Graham at the National Library’s circulation desk. I don’t exactly remember why we started talking – maybe someone suggested we compare notes? – but I’m sure glad we did. Colby was there that day doing some research for his magazine Vintage Boss. I’d not seen Vintage Boss before (it first appeared in May 2002 and the earliest issues were snatched up quickly by the Kingston cognoscenti), but I was struck by the work Colby was doing. 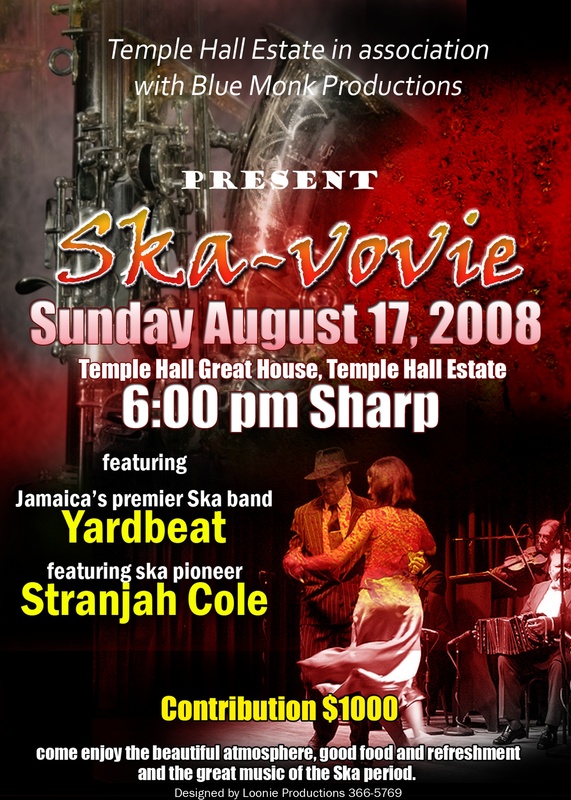 Not only was he searching down and writing about some of the most talked about and often least acknowledged people in Jamaican music history (particularly from the ska, rocksteady and reggae eras), but he seemed to be constanly scouring newspapers and photo archives in search of images that could help him chronicle and reclaim facets of Jamaica’s music history from obscurity. Much of what he’s found (and continues to uncover) is astonishing, and some of it is now up on the Vintage Boss blog. For those that grew up in Jamaica, Colby’s work helps enliven the musical past. For fans of Jamaican music around the world, his work helps contextualize – indeed, helps put faces to – the seemingly innumerable and often anonymous vintage records widely available from stores in the US, stores in Japan, and from vendors on the internet and on eBay. I understand that there are somewhere in the neighborhood of 60 issues (many on their way) and a dozen interview DVDs. These should all be more widely available in the coming months – if memory serves, I think he got a distribution deal – but if you just can’t wait, back issues are sometimes available through Ernie B’s. Point is, I haven’t come across many talking about Vintage Boss and this is a shame, so I want to get the word out. In my opinion, it provides some of the finest coverage of early Jamaican music and should be required reading by anyone interested in its history.